Who doesn't love dogs? And a good happy hour? Exactly, now combine the two and you get the perfect outing with man's best friend! National Pet Day falls on April 11th this year, so mark your calendar and don't forget to take your pooch out for a celebration at any of these pet-friendly Orlando bars! 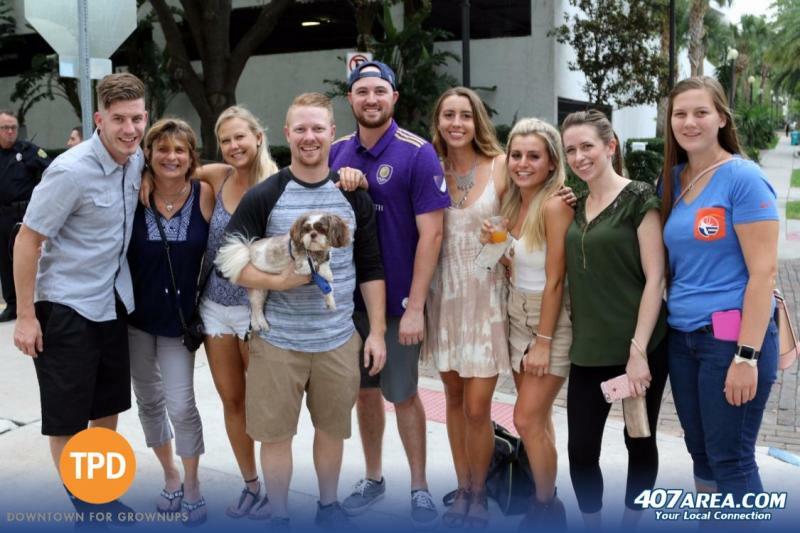 World of Beer in Downtown Orlando has the largest beer selection and a dog-friendly patio facing beautiful Lake Eola Park. Stop by for a bite to eat and a few brews with your favorite four-legged friend. Located on Orange Avenue by the beautiful Lake Ivanhoe, The Lucky Lure is sure to please both you and your pup with room to roam and splash. With a full-service liquor bar and a selection of over seventy beers, this bar has every drink you could hope for. They also hold "YappyHour" every third Sunday from 1:00 to 4:00 PM with Pet Rescue by Judy bringing out dogs young, old, big, and small for adoption! The Hammered Lamb offers signature cocktails such as their Formosa drink, a wide variety of draft and bottled beers, and a large wine selection. The bistro-style menu provides the perfect meal to go with your drink and their spacious outdoor patio welcomes your dog any day of the week! They also host a trivia night every Tuesday beginning at 6:00 PM and donate proceeds from the night to Florida Little Dog Rescue. The Stubborn Mule is a new American style bar and restaurant open Tuesday through Sunday at 11:00 AM. They serve a variety of custom mules and cocktails, draft beers, wines, full food menu, and dedicate themselves to quality food by sourcing their menu locally. 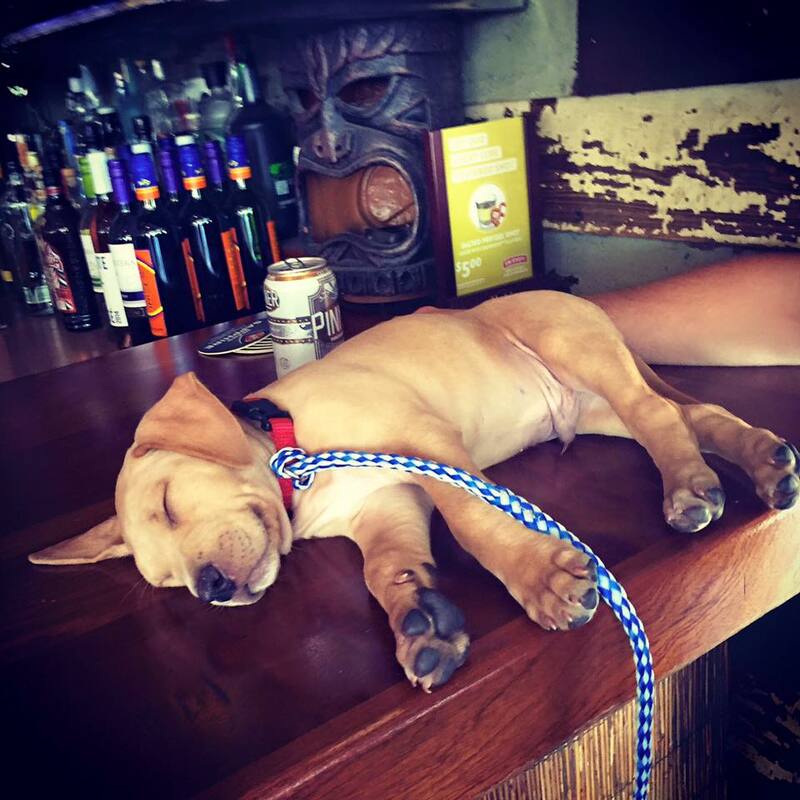 This bar welcomes your pooch to join you on their lovely outdoor patio and enjoy the fresh air while you enjoy your lunch! Full of modern graffiti art and enormous televisions for game days, this modern sports bar serves an all-American menu complete with juicy burgers and a full-service bar. In addition to the many charities Graffiti Junktion gives back to, they also donate to Pet Rescue by Judy and welcome all dogs to their wonderful outdoor patio! This modern sports-pub chain boasting recliners plus high-concept bar food & a huge selection of beer is a great place for a day out with your dog. The Orlando pet-friendly restaurant has multiple locations in Orlando. Find the one near you on #NationalDogDay. The boutique bistro on mills is quaint and quiet. The deli-style restaurant in Orlando offers delicious eats including breakfast, homemade soups, flatbreads, salads, and specialty sandwiches. The 903 Mills Market patio is pet-friendly and a great place to eat al fresco with your favorite fur baby. Located on Lake Eola, people and pooches alike will love the all-outdoor patio seating and covered bar at this casual lakeside grill. Open seven days a week at 11:30 AM, Relax Grill serves a full lunch and dinner menu and always aim to provide quality service to keep you coming back again and again! In business since 1984. A local and established casual hangout that takes food and wine very seriously. Enjoy over 30 wines by the glass or bottle, full bar, excellent service. Ember is reminiscent of the easy-going social taverns seen all over Europe and the Mediterranean. Open air seating. Drinks. Delicious menu options. Ember is a cared for environment where you can belly up to their huge covered patio bar with mans best friend and grab a drink and a bite.